Do you have lead pipes in your home? Lead exposure, even in small amounts, may cause health problems. It is connected with behavior and learning problems in kids, and high blood pressure and kidney problems in adults. 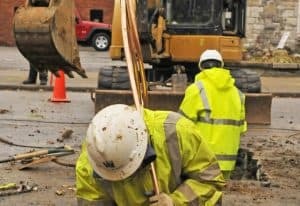 There are Lead and Copper Rules that require water line replacement or at least partially replacing lead water pipes. 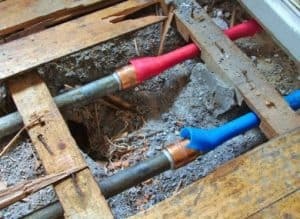 Lead in water systems is one possible source of exposure, and that’s because in many homes, the pipe that connects the building’s plumbing to the water system is still made of lead. We’ll help you find out whether your drinking water is at risk in a few simple steps. You won’t need anything fancier than a magnet and a coin, but you will need to be at home to follow along. If you do find lead, contact us so we can price a lead pipe replacement for you. 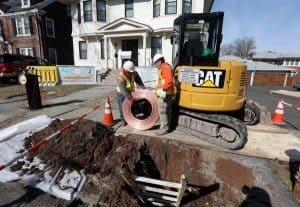 We provide water line repair services and sewer repair services in NJ.